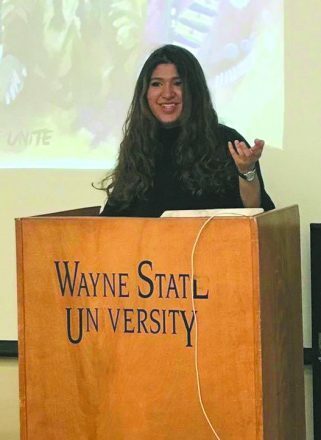 Wayne State University senior Jessica Davidov will head to Israel as a Fulbright scholar. WSU senior plans to teach in Israel as a Fulbright scholar. Acceptance into the Fulbright U.S. Student Program is a nationally recognized achievement. Yet Wayne State University senior Jessica Davidov was surprised to be selected — given that she almost didn’t apply. Encouraged by Wayne State science and technology professors Dr. Eric Montgomery and Dr. Alvin Saperstein, Davidov completed her Fulbright application in only three days — though the process often takes months. Because of the tight deadline, Davidov had no expectation of getting into the prestigious program. In fact, she said she wouldn’t have applied at all without Saperstein’s insistence. 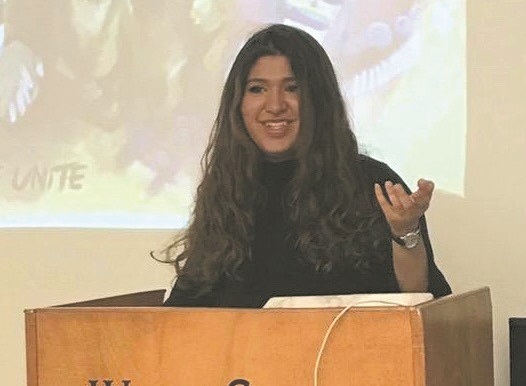 Now that she’s been accepted, Davidov, who graduates from WSU in May with a bachelor’s in political science and Near Eastern studies with a concentration in Hebrew, plans to use the Fulbright opportunity to teach English in Israel. 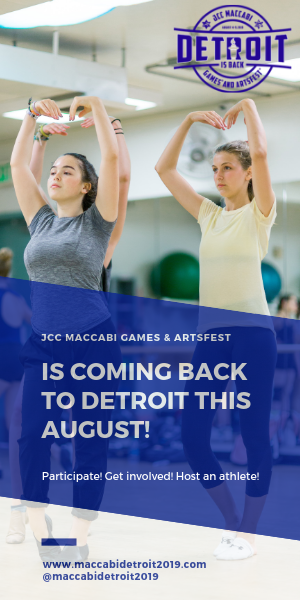 Davidov, whose parents and brother immigrated from Azerbaijan in 1991, was raised Jewish in a Russian-speaking household in West Bloomfield, graduating from West Bloomfield High School in 2014. 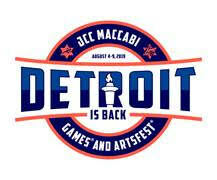 She started at WSU the following fall and credits her love for Detroit as a key reason she chose to go there. Notified about the Fulbright just days before the application deadline, Davidov launched a frenzied effort to complete her paperwork with help from Kelli Dixon, director of the Office of International Students and Scholars. The process requires applicants to pass a language assessment, provide three professional recommendations and submit multiple essays. In addition to presenting a personal statement, applicants hand in a project proposal explaining why they would like to teach English in a host country. Her nine-month Fulbright contract is tentatively scheduled to start in October, following the High Holidays. Although she is enthusiastic about teaching English at a college in Tel Aviv, her plan to work with a youth orphanage excites her most. She hopes a personal passion for taking photos can help her create ties with the children there. In addition to her academic achievements, Davidov has been busy on and off campus. Upon her arrival at WSU, she reinstated the student organization Students for Israel and currently serves as its president. She is also a member of Hillel of Metro Detroit, a 2017 Hasbara Fellow and an intern at the Eugene and Marcia Applebaum Family Foundation. Additionally, she works as a legal assistant for the Osipov Bigelman law firm. Davidov hopes her Fulbright experiences prepare her for a future in law and the pursuit of social justice. Davidov said immigration law, technology and cybersecurity interest her most.